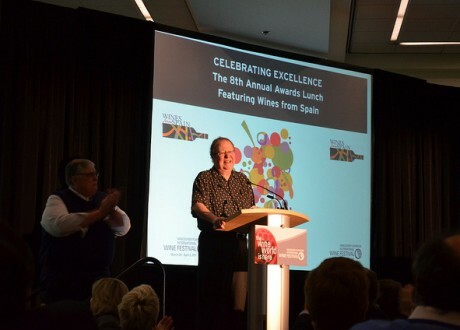 Even though the Vancouver Playhouse International Wine Festival was just getting started before I left for my stagette on Friday afternoon, it seemed fitting that my last event was the “Celebrating Excellence” awards lunch. 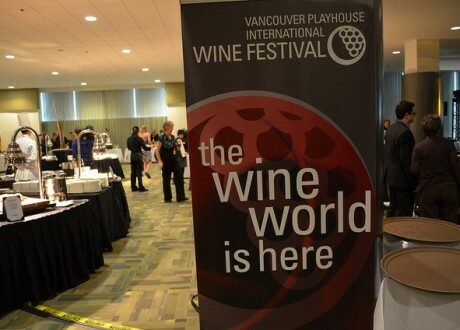 So many things are happening in the wine world and this is the place to celebrate them. 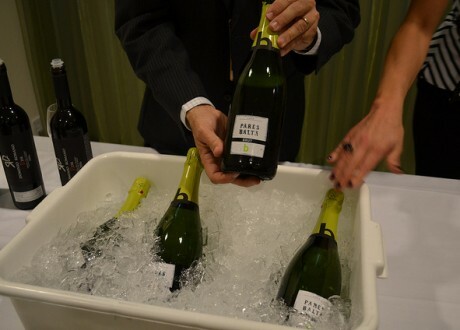 See the winners in other regions and categories here. Jurgen Gothe won the Spirited Industry Professional Award. 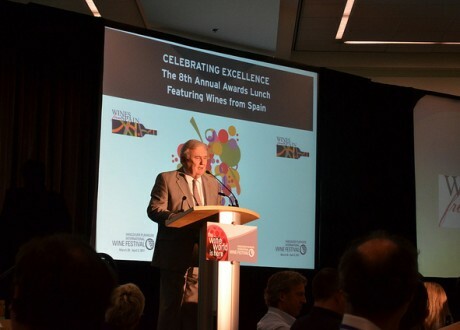 It “honours an individual who has made a significant contribution to the sales, service or promotion of wine in British Columbia” and the weekly wine columnist for the Georgia Straight has certainly done this, with style. As photos were presented, he started to realize what was happening and by the time the room was standing, he was almost speechless. It was a great event and I was happy to be leaving the festival on such a warm note. Can’t wait until next year! Great post – and I am happy to read this after sitting next to you during this event!